With an abundance of fresh seafood, locally-sourced organic produce, and a strong farm-to-table lifestyle, taking a cooking class in Maine will not only enhance your cooking skills, but also change your perspective on where food is sourced. Led by the award-winning catering company, The Black Tie Company, offers hand-on and demonstration cooking classes in Portland. Classes are limited to 12 people so you’ll get individualized attention and classes sell out fast. Class from classes like New Orleans favorites to pasta making to Asian cuisine. Stonewall Kitchen is a local gourmet chain store with locations across New England. Their company headquarters in York is home to their own in-house cooking store where you can joy in on the fun. These demonstration-style classes are easy to learn and happen almost daily. Once you’re done making the food, enjoy it with your classmates! 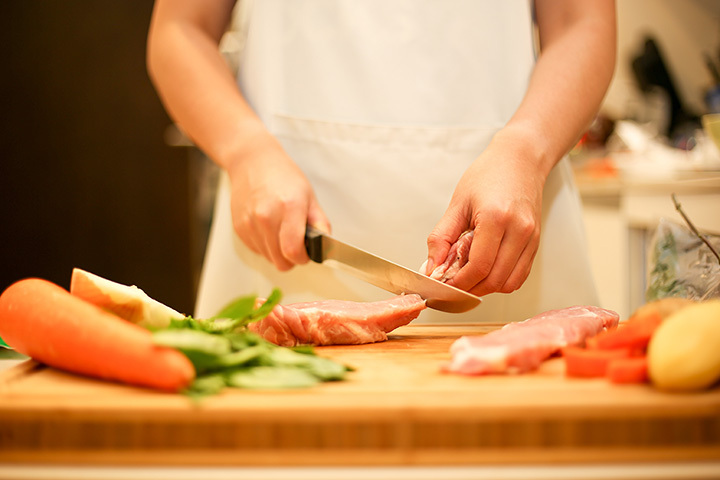 From November through May, the Hartstone Inn is home to numerous cooking classes covering a diverse range of topics related to everything about cooking and food. Choose from their private “Chef for a Day Program” with Chef Micheal, or opt for private cooking classes or even an international gourmet adventure abroad! Named after the wood-fired Le Panyol Stone Oven from France, Stone Turtle Baking and Cooking School in Lyman offers various baking and cooking classes throughout the year. Choose from unique classes like “Chocolate and French Macarons,” “Bread 101,” or “Pizza Plus.” Take your baking skills to a whole new level at Stone Turtle. Run by two professional cooks with over 50 years of combined public school teaching, Jillyanna’s Woodfired Cooking School is the place to go if you need a little help in the kitchen. These intimate, hands-on 3.5-hour cooking classes are held in Jillyanna’s home kitchen and only use the freshest local ingredients. It’s like learning to cook your family recipes from your loving Italian relative. Between hiking Acadia National Park and devouring blueberry pancakes in Bar Harbor, learn how to cook up some Maine native dishes at Ambrosia Cooking School. Trained in France, Sharon Joyce has decades of experience cooking around the world. You’ll learn how to make foods like seafood chowder, lobster, and blueberry deserts. Learn how to cook while overlooking Maine’s Penobscot Bay at Salt Water Farm in Lincolnville. From June through October, Salt Water Farm offers cooking classes for home cooks of all levels. Ingredients come from local farmers and fishermen, and you leave knowing how to cook some delicious dishes featuring these local Maine ingredients. Located in the historic Parsonage House, Culinary Bootcamp Cooking School will help you learn the ins and the outs of your kitchen. This affordable cooking school is a great place to learn how to cook French, Mexican, Greek, Italian, and more. Classes are generally held on Tuesday nights. Almost every cooking class is designed for adults, but what better way to get your kids to eat healthy than to have them help you cook. Run by registered dietitian, Michele, offers seven week classes or special workshops. Your child will love the “Mommy & Me” series where each class focuses on a children’s book and the food associated with it. How cool is that?! Mostly known for their walking food tours through Southern Maine, Maine Foodie Tours also offers private culinary classes. Perfect for a special event with a group or friends of coworkers, choose a local culinary expert in the area and have them teach you and your friends on how to make the hottest dishes in town.